Don't pity the patriotic pilot, Chris Liu, an American Airlines employee and Federal Flight Deck Officer, who had his government-issue gun and badge taken back by the Transportation Security Administration earlier this month. He's having his 15-minutes of fame. Anyway, I've seen the video, several times in fact. I'm straining to see these breaches in security that Liu is making all the fuss about. In a driveway interview with CNN, Mrs. Liu says her husband is "courageous" for documenting his concerns and sharing them with the flying public. The TSA, meanwhile, is plenty concerned. About Liu. 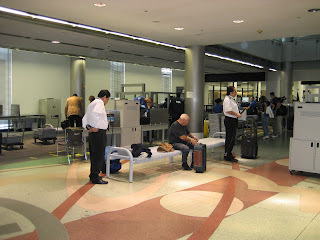 In suspending Liu from the FFDO program which had allowed him to carry a firearm into the cockpit, the TSA charges him with a number of violations that makes me think these guys are being paid (like me) by the word. The charge I think will stick, claims he engaged in "conduct that...causes the loss of public confidence in TSA". Causing a loss of public confidence in TSA is a cottage industry these days. Everyone and their brother is either an expert on airport security or the incubator of the next big idea for how to make security more common-sensical. The curious thing about Liu's tape is how much it reminds me of the Hans Christian Anderson tale, The Emperor's New Clothes. Liu is heard saying, "As you can see, airport security is kind of a farce, its only smoke and mirrors so you people believe that there is actually something going on here" as he shows a gate area, but I'm not seeing anything other than your ordinary gate area. "There's no screen, there's no TSA here," Mr. Liu says pointing his camera at a door marked; "restricted area, authorized personnel only". He's making the point that while you and I are getting felt up and shaken down topside, airline employees are air side, mingling among the planes with little more than a swipe of their ID tags. Only a spokesperson from the San Francisco Airport says the door in the video leads to the employee break room, not the tarmac. For a more in-depth analysis of the weaknesses in this aspect of airport security, I'd urge you to read Patrick Smith's Ask The Pilot column from last month's Salon. Are there lapses in airport security? You bet. Do pilots add value to the discussion of how to improve the system? Yes indeed. Flight attendants, mechanics, baggage handlers and gate agents do too. Robb Powers, is an airline pilot, police officer and aviation security expert, who says he thinks he understands Liu's behavior. "What he did mirrors the frustration that many of us pilots have day in and day out," he told me this evening in a phone conversation. 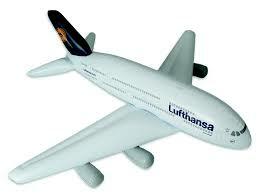 Powers and many other airline employees work through their unions or with their airlines. They attend meetings and read reports. But their work is a tad boring up against the Chris Liu video, the Michael Roberts check point temper tantrum and Corinne Theile's body-scan-preventing bikini. The public's attention on aviation security is all about style and scare stories and little about substance. "He's caused an event, but he's hung it out there and he's going to get what he's going to get," Powers said regretfully. "He went at it in a myopic sort of way, fixing one thing and hurting another." Powers was talking about the FFDO clearance, which hasn't been discussed much in all the hubbub over the tape. The TSA in its wisdom decided to suspend Liu's deputation as an flight deck officer on December 8. I want to mention that this is the second FFDO to make an appearance in my blog. Eight months ago I wrote about Timothy Martins, an American Eagle pilot and Air Line Pilots Association cover boy, who fed a load of baloney to a magazine writer in an attempt to glorify his past and present. American Eagle wound up terminating Mr. Martins I am told, and you could make a jumbo-jet sized-quiche Lorraine from the egg on ALPA's face. 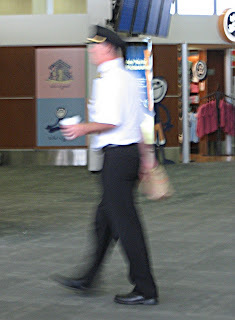 What emerged after I blogged about Mr. Martin from people who claimed to have flown with him, is that he was also a FFDO. This should have prompted at least some review of what remains a controversial program. Think of it, while everyone, passengers, pilots and flight attendants are being stripped of their fingernail clippers and plastic spoons, some pilots are cleared to carry handguns into cockpit by virtue of their selection by who else - the very TSA Mr. Liu is so quick to discredit.